Skywatch Friday – Time to go home | Highway - the only way ! Thank God it’s Friday ! And, a Skywatch Friday ! What do we have here this week? 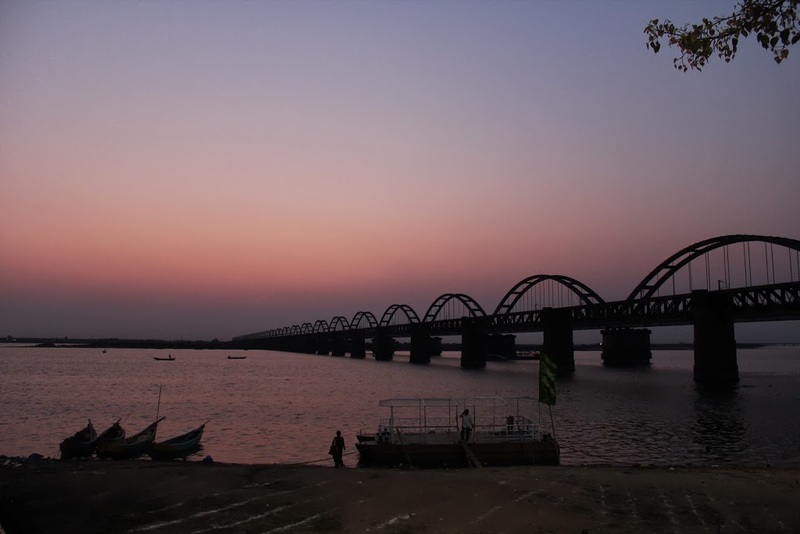 Sunset time at Rajahmundry near the Godavari Arch Bridge, India. The Sun, fishermen, boatmen, employees, everybody seem to be waiting to go home. In the midst of all this, the River Godavari, flows quietly by herself, sunrise or sunset doesn’t matter much ! wow, this is an impressive bridge! marvelous composition! So beautiful! Love the colors! Great shot! A gorgeous and colorful sky, I love the bridge! Well done, happy skywatching! Gorgeous. I love the diagonal line of the bridge, the reflected colors, the silhouettes. Wow – what a magical shot! Always love the view of this great river. Awesome snap.